A configurable type attribute consists of all the list of attributes associated with the configurable products. On the top navigation bar, move the cursor over the HouzzWalmart menu, point to the Extras menu, and then point to the View Houzz Attribute menu. 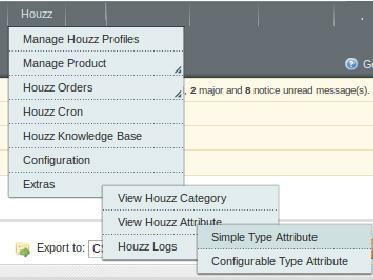 All the Configurable Type Houzz Attribute details are listed.